With an impressive performance by the entire team, the coached by Ambros Martin upset the defending champions 23-31 and will travel to Nancy with 4 points. Norway are through to the main round as well, however, the semifinals look distant as they will face the next round with 0 points. 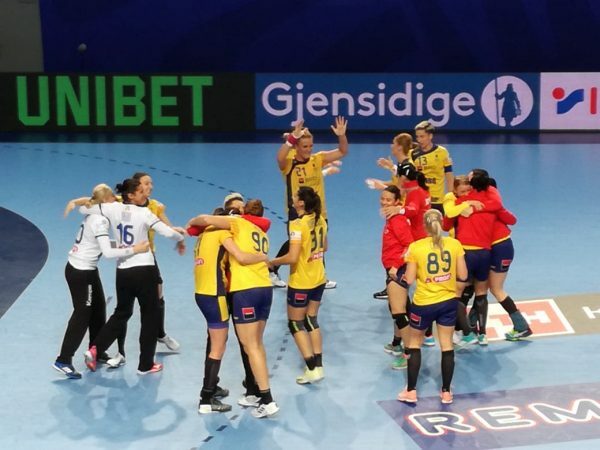 In a highly expected match, Romania beat Norway 23-31 in the last match in Brest. Lead by an ever impressive Cristina Neagu, who scored 11 times, the commanded by Martin took the two points and will now move to the main round with 4 points. But don’t be misled. Although there was a low score from Norway, it was not a bad performance from them that kept them from winning, it was rather Romania’s astonishing performance that overshadowed the Scandinavians. 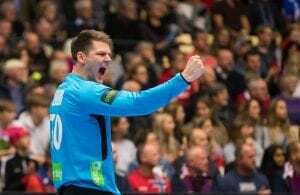 With 5 minutes on the clock, the match was already 5-4 in favor of Norway. It was a score that promissed many more goals to come in the night of Brest. The connections with Crina-Elena Pintea were being very positive for Romania; when she was not scoring, a penalty was commited against her. Her physical strength was a plus aganinst a Norwegian defense that had a hard time taking care of her, while also trying to control deadly Neagu. By the 24th minute, Romania had already produced the biggest goal difference of the first half with an impressive 10-17. The posts were playing against Norway as well, as both Veronica Kristiansen and Emilie Hegh Arntzen smashed the ball against them four times. Surprisingly, Norway scored only 3 goals in 13 minutes. Katrine Lunde saved the last ball of the first period to go to the locker rooms 12-18 behind. With an astounding Yuliya Dumanska under the posts (she would later be named best player of the match. 44% save rate, 14/32), Romania were able to build a triumph that was never threatened by the commanded by Thorir Hergeirsson. While Neagu kept on scoring, Kristiansen tried to help with some goals from the right back, a position that Norway was not able to fulfill during the group round, in the absence of both Nora Mork and Amanda Kurtovic. In the 23rd minute, and being down by 9 (the highest goal difference in the match), Hergeirsson tried to decrease the goal difference by playing 7 against 6, but it was not successful. With youngster Henny Reinstad already on the court, Norway could only shorten the gap to 7 with 5 minutes left to be played. Norway will now face the main round with 0 points and while winning all upcoming matches would give them hope, they will also depend on other results. For Romania, on the other hand, things look much different as they will advance with 4 points and a much different panorama, and with intact chances to go all the way to Paris. Cristina Neagu wants 30.000 EUR salary?